Here's what you'll get in ActiveReports 13. ProDesigner for Web: Give your users the power of ad-hoc report design... in a web app! 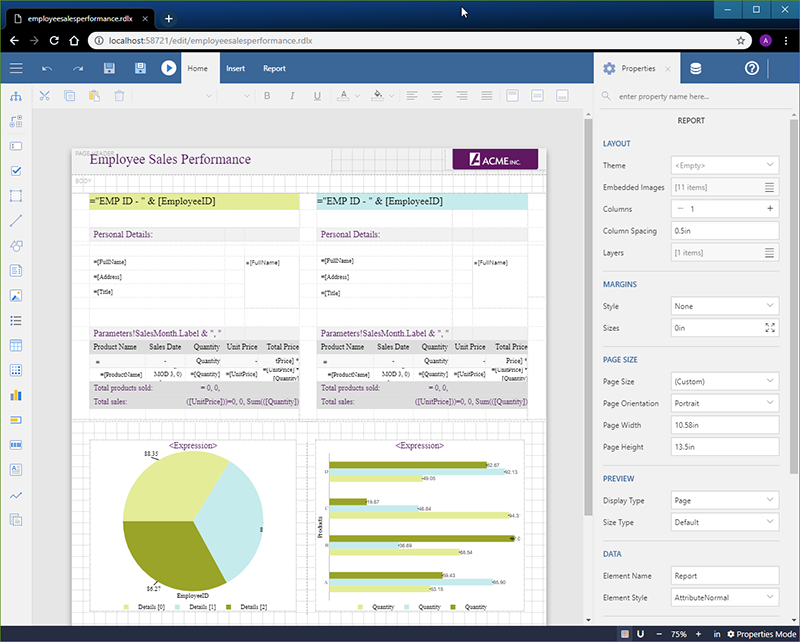 ActiveReports has always provided various tools for designing reports, including the VSDesigner, a Visual Studio add-in, and the ProDesigner standalone desktop app. The ProDesigner component can also be embedded in your desktop reporting solutions so your users can design reports, as well. 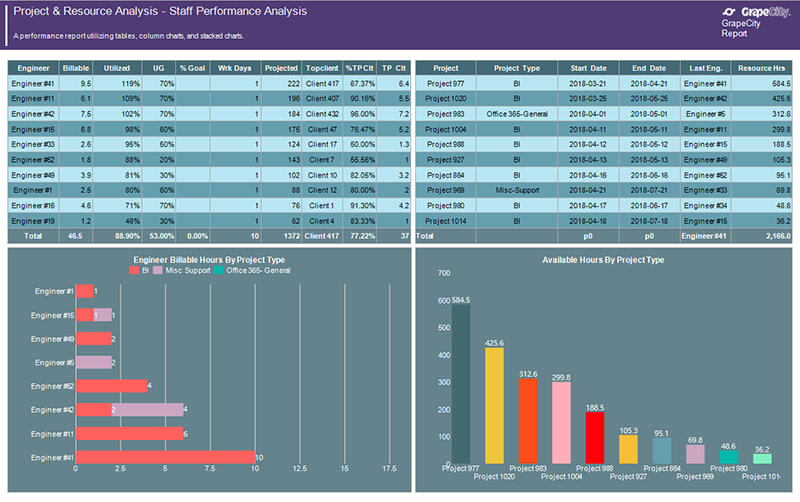 One of the oft-requested features has been an online version of the ProDesigner that enables users to design reports in a web-based reporting app. ActiveReports 13 Professional answers the call! For AR13, our development and QA teams have worked hard to deliver a lightweight, yet robust, report designer. With only a few lines of code, you can easily embed the ProDesigner for Web in your web sites and applications, giving your users the power to design, create, and modify reports. That means the ProDesigner is able to open existing reports in a design view, where end users can manipulate the layout, as well as create new reports and preview them for WYSIWYG result. As with our desktop ProDesigner, the web version is fully customizable: you can control which features of the designer your customers can access. The JSViewer supports the major web application frameworks, including Angular and Vue, ASP.NET Core, ASP.NET MVC, and HTML. Included in ActiveReports Professional, the JSViewer adds further value to our offering for an enterprise-level reporting solution. In addition to the ProDesigner for Web and JSViewer, we've also overhauled our charts. This is the third new and major feature implemented in ActiveReports 13. These charts are especially created for RDL and Page reports on the web, and they offer enhanced interactivity and improved performance. Existing reports with older, classic charts will automatically convert to the new charts, but the classic charts will still be available to use if you prefer. One of our more popular controls, the FormattedText is used to render HTML text within a report. In ActiveReports 13, we’ve enhanced the FormattedText to support many more HTML tags and attributes. Additionally, users can now see the rendered text in the control, at design time, to ensure a WYSIWYG result. New HTML tags and attributes include table, text alignment, and styling. 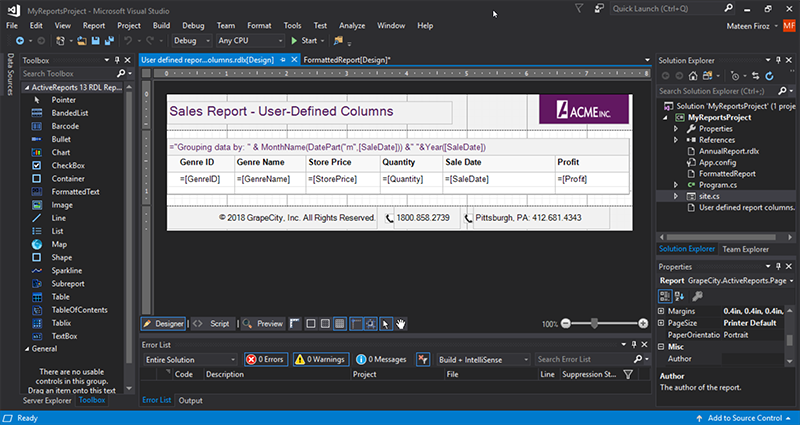 ActiveReports is one of the few vendors to have a report designer integrated directly into Visual Studio. 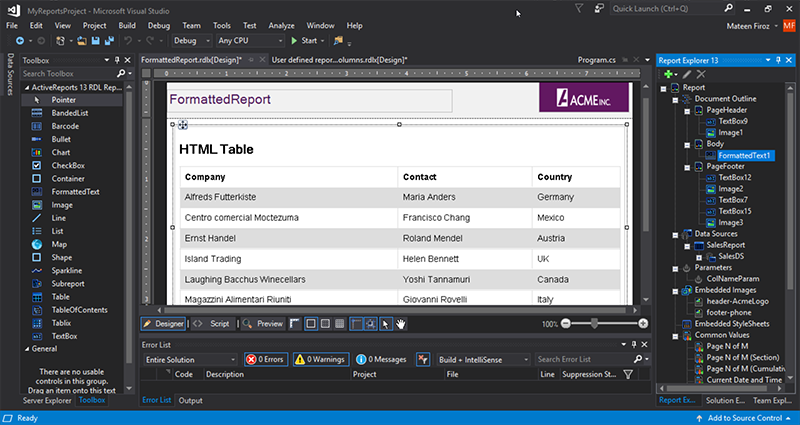 We've extended the depths of this integration by extending your Visual Studio theme to the ActiveReports designer and its supporting windows. This provides a nice UI change for the designer.